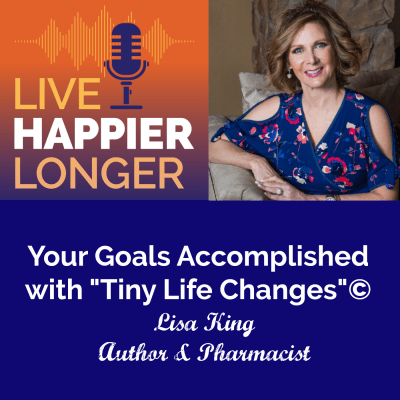 Lisa King is a full-time pharmacist and recently co-authored her book, Tiny Life Changes with her sister Lauren Daniels. Both Lisa and Lauren encountered some challenging life events that resulted in learning about and embracing self-care and positive mindset. Lauren became a life coach and Lisa devoured every self-help book she could find. After going through their lives, they both knew they “had a book in them” and wanted to share the message that adversity can bring about the best kind of change. Through positive affirmations and conquering negative thoughts, you can live your very best life. And all it takes is tiny changes each day. If the actual situation is not something you can change, the one thing you can change is your attitude. Just keep moving forward.